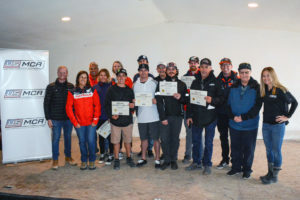 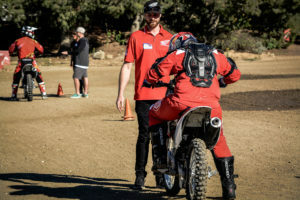 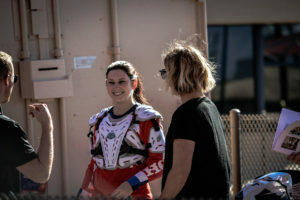 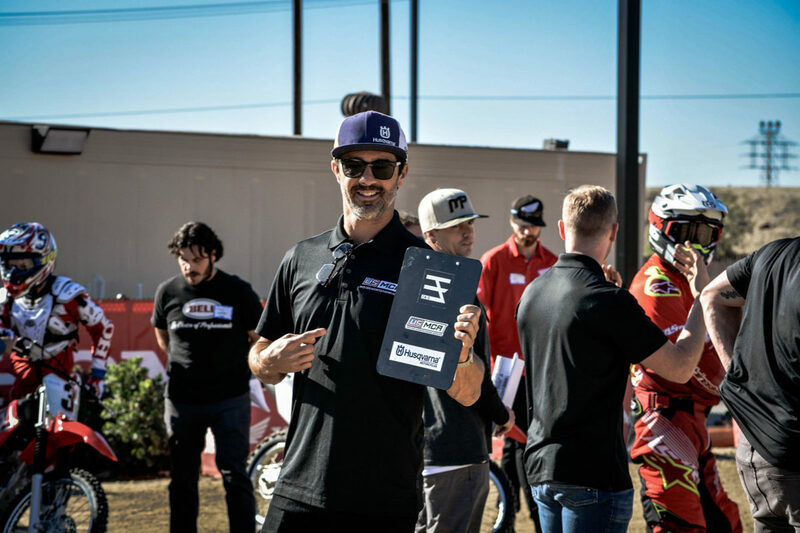 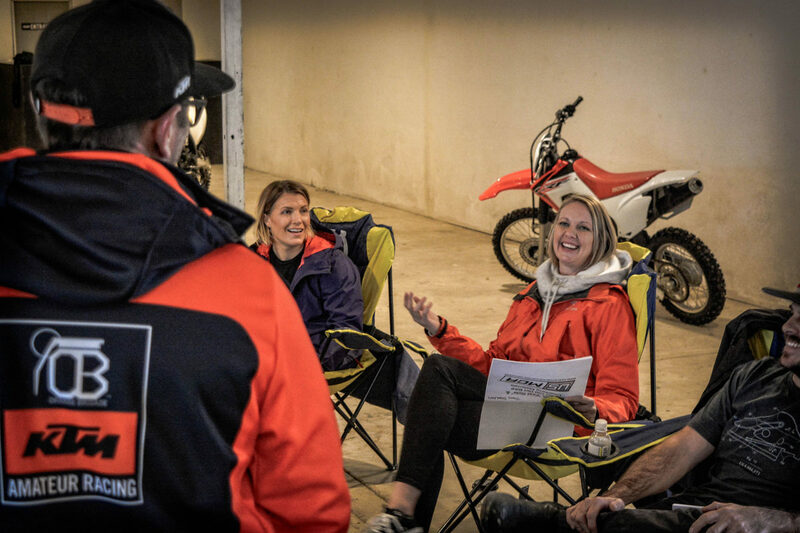 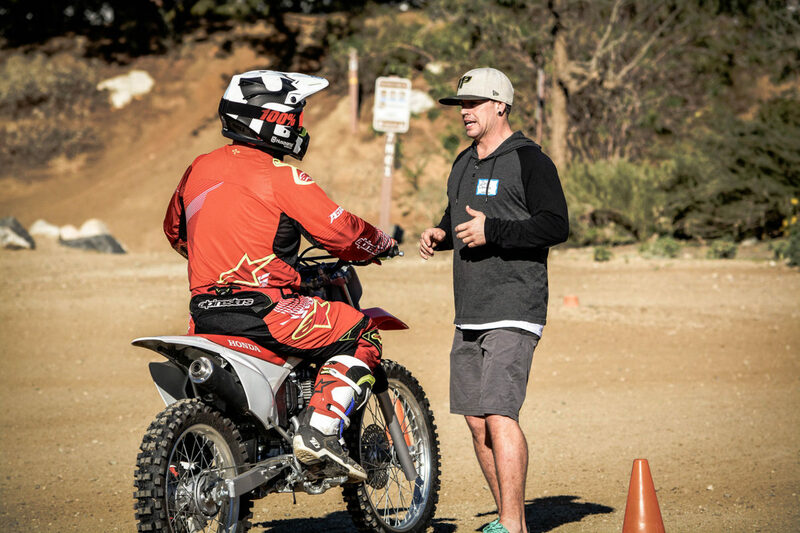 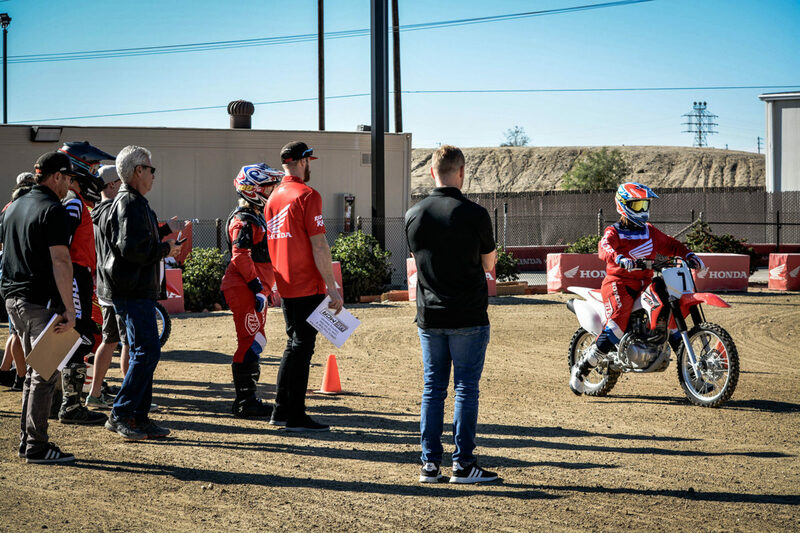 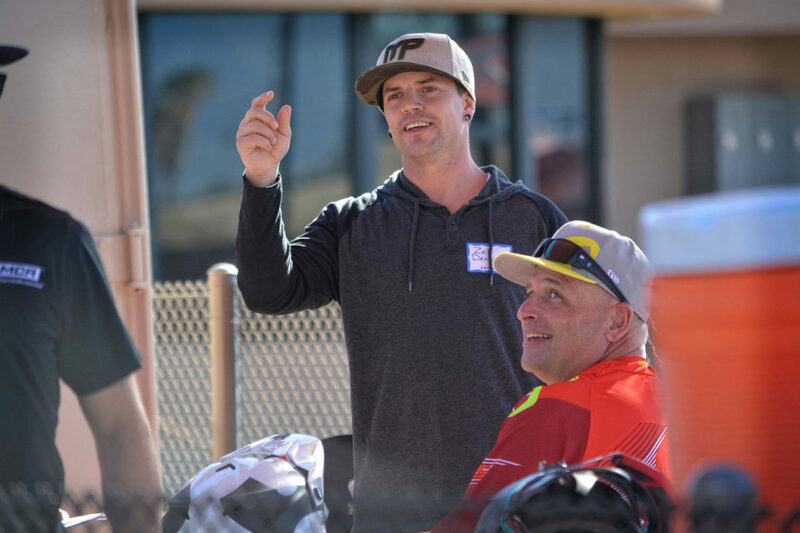 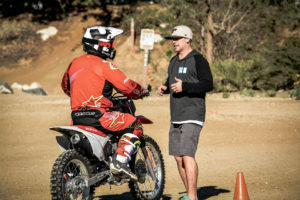 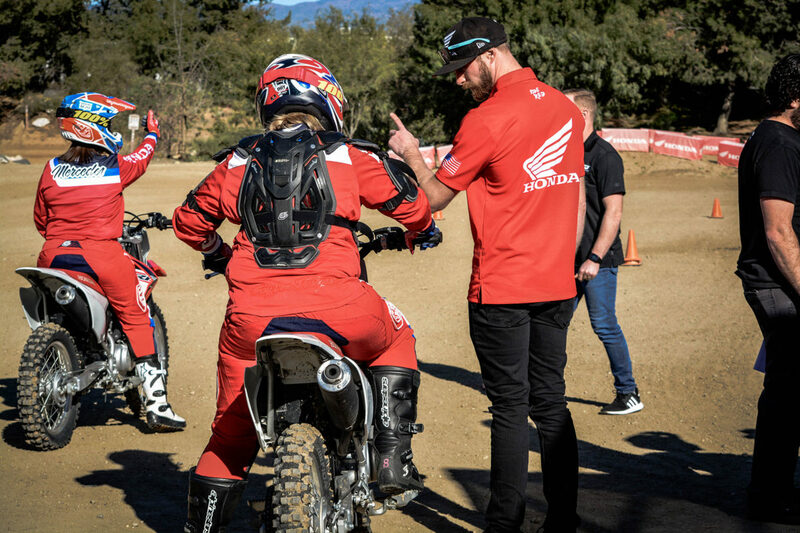 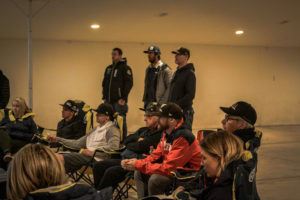 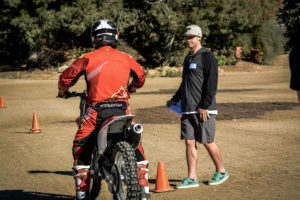 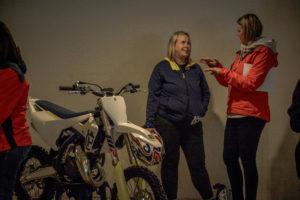 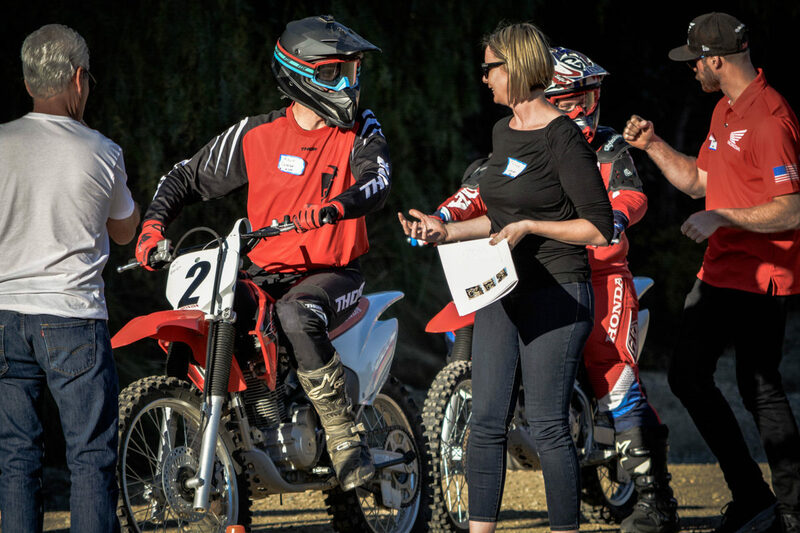 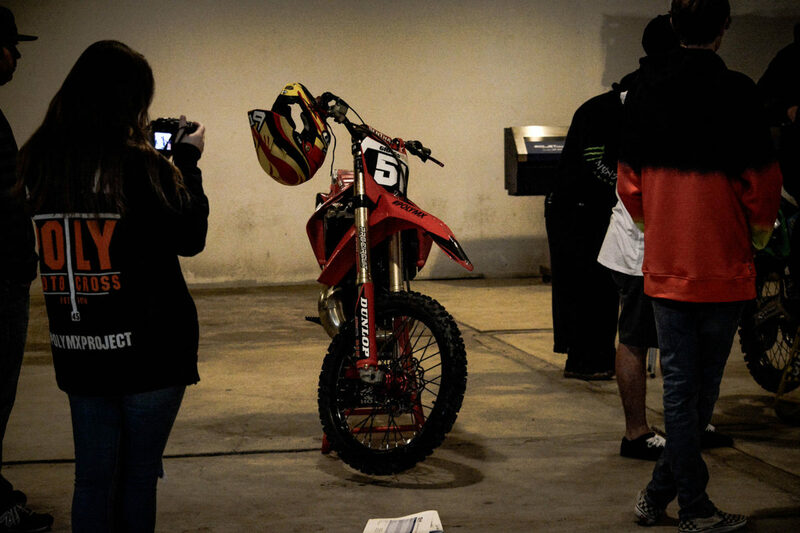 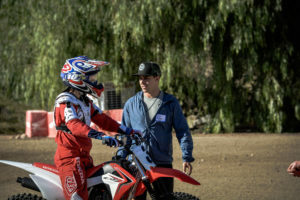 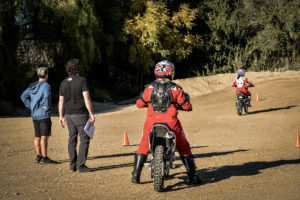 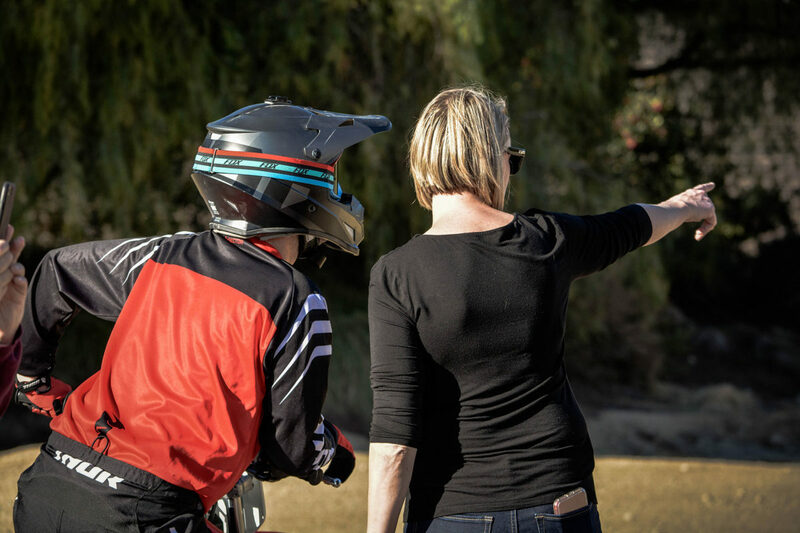 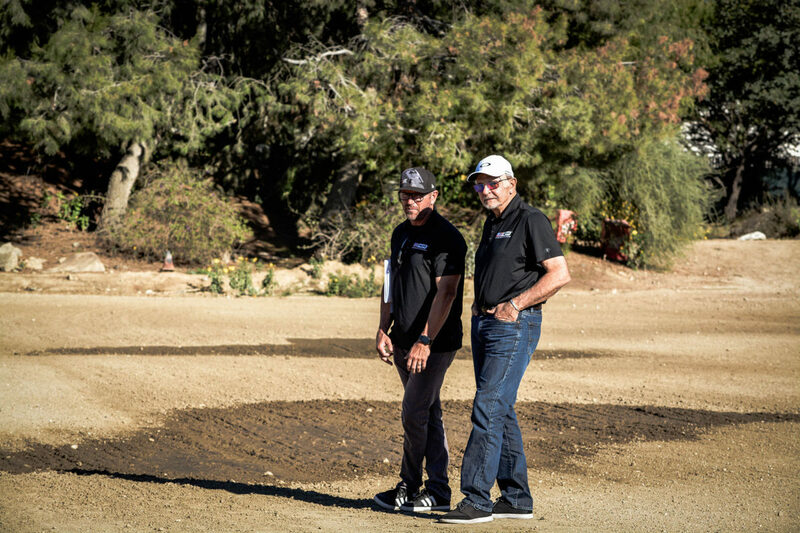 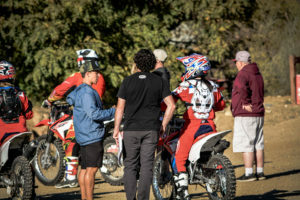 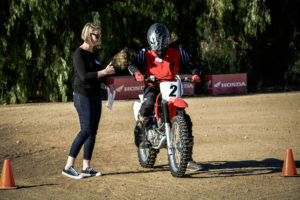 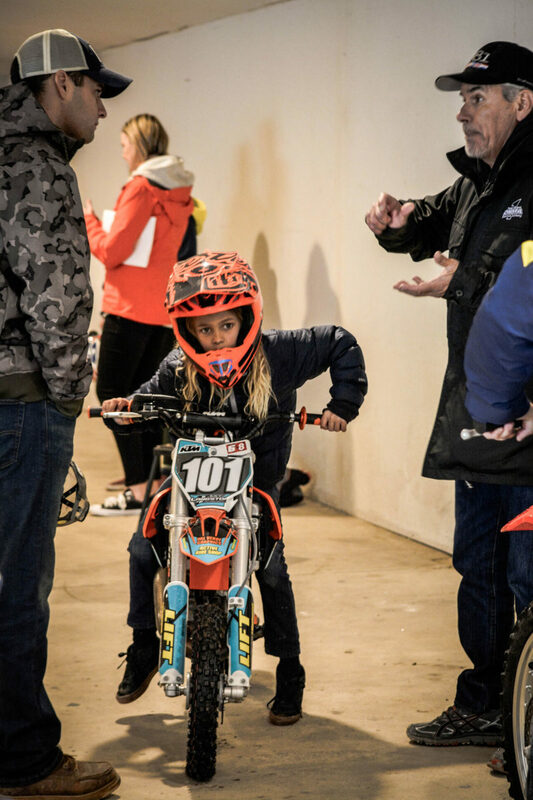 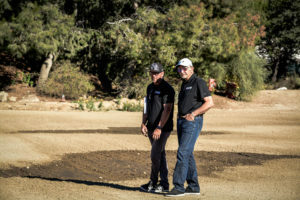 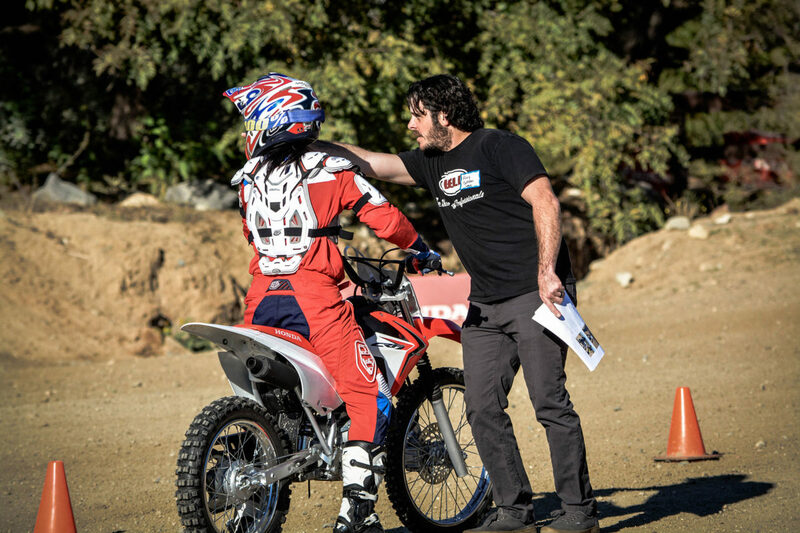 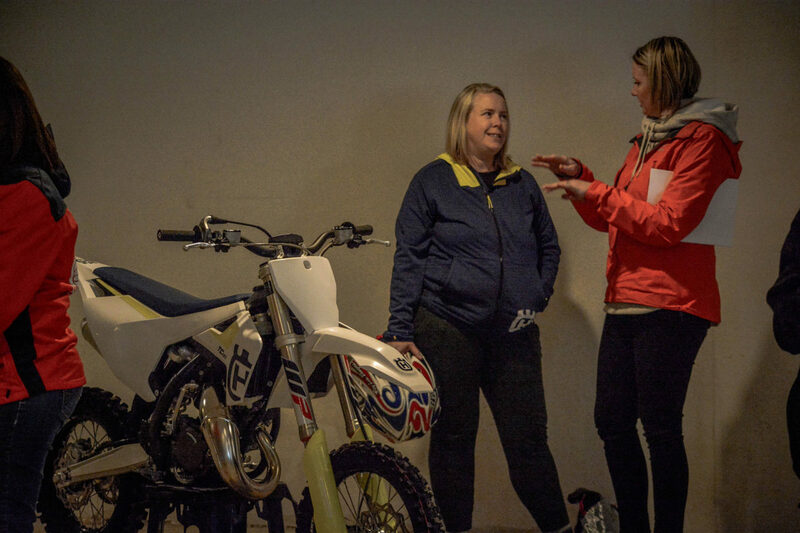 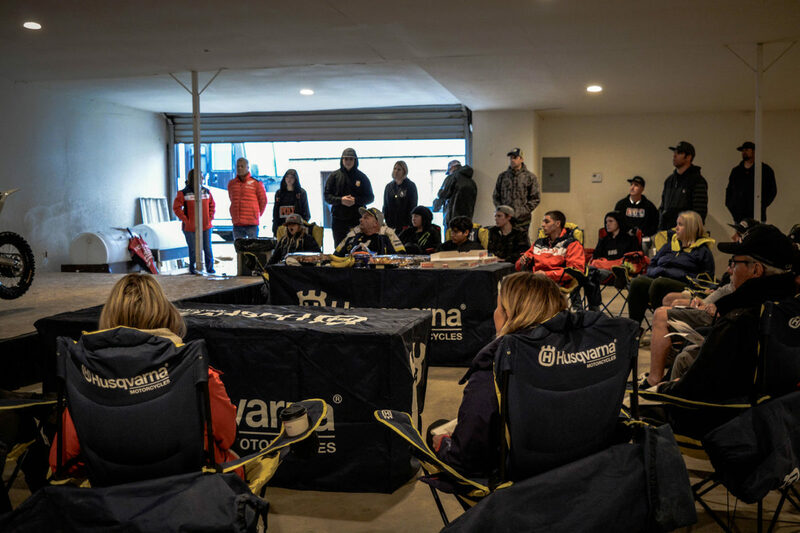 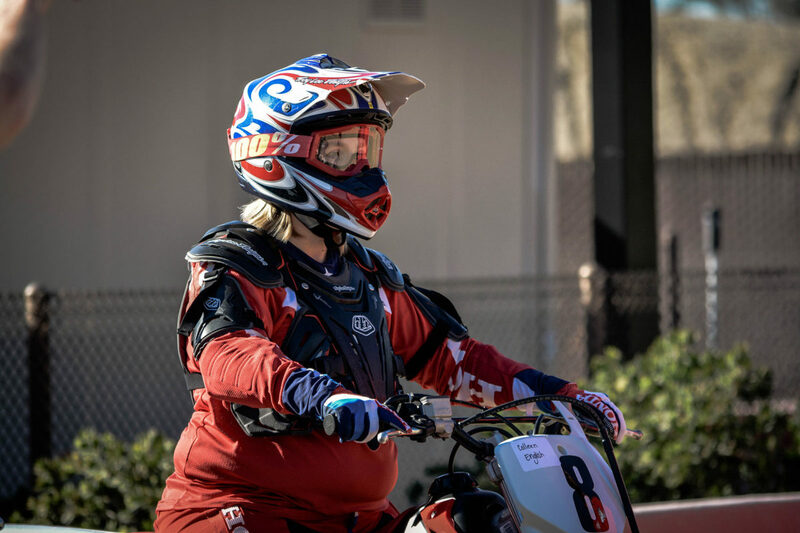 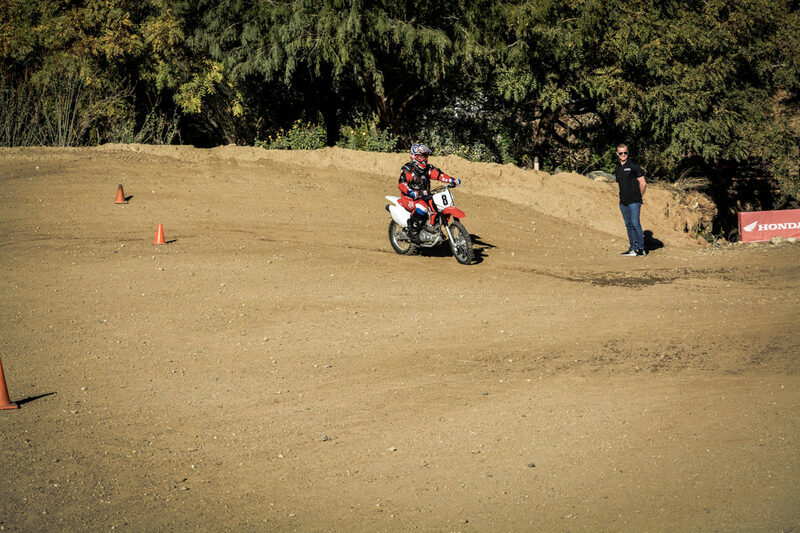 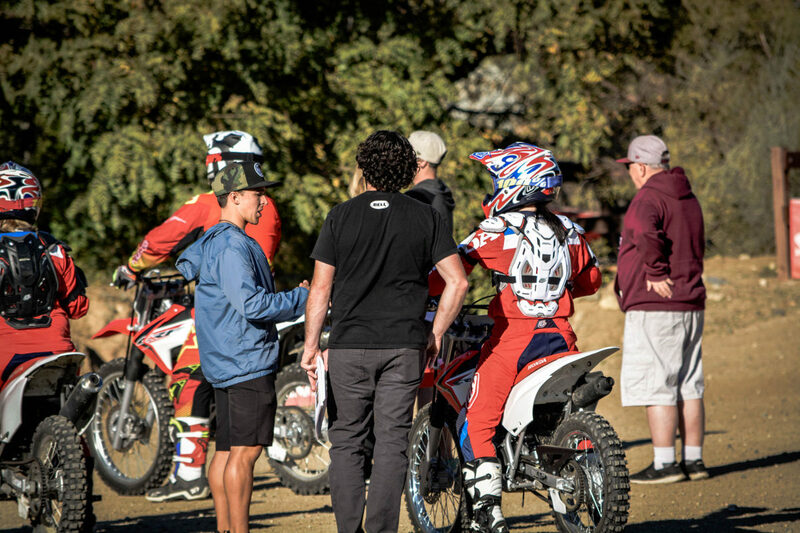 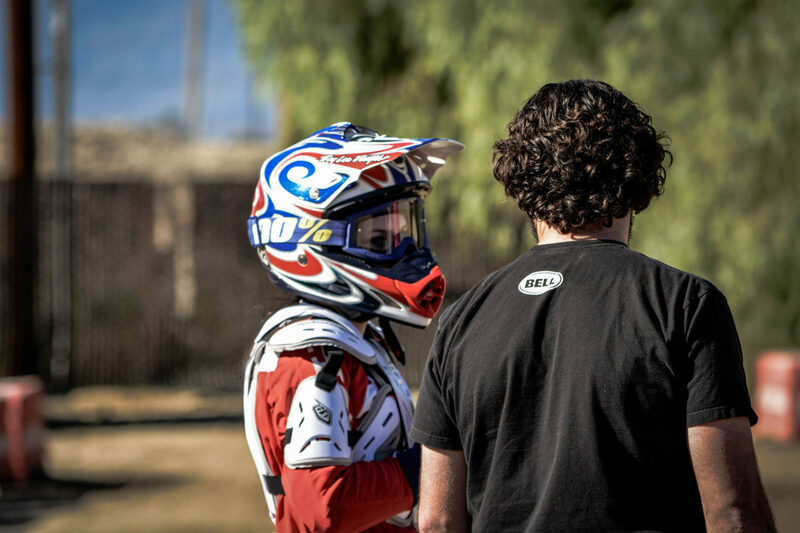 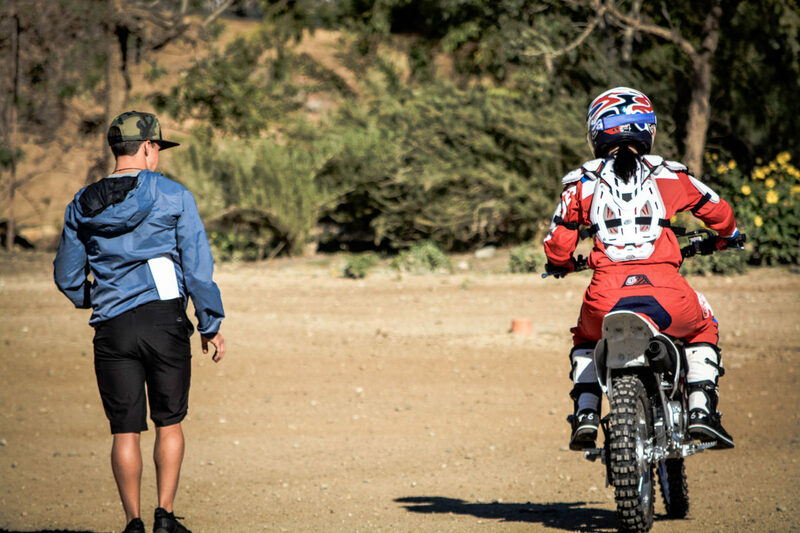 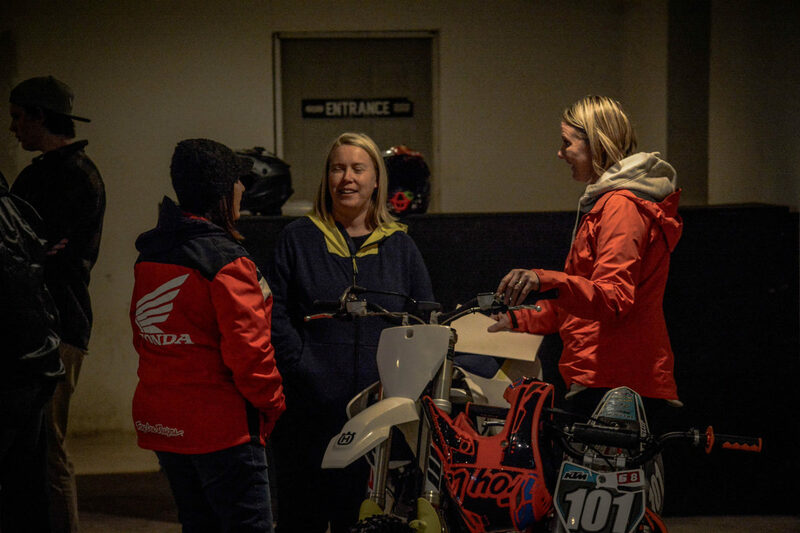 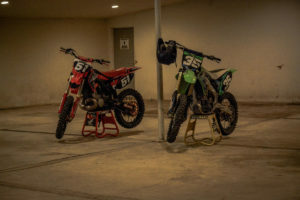 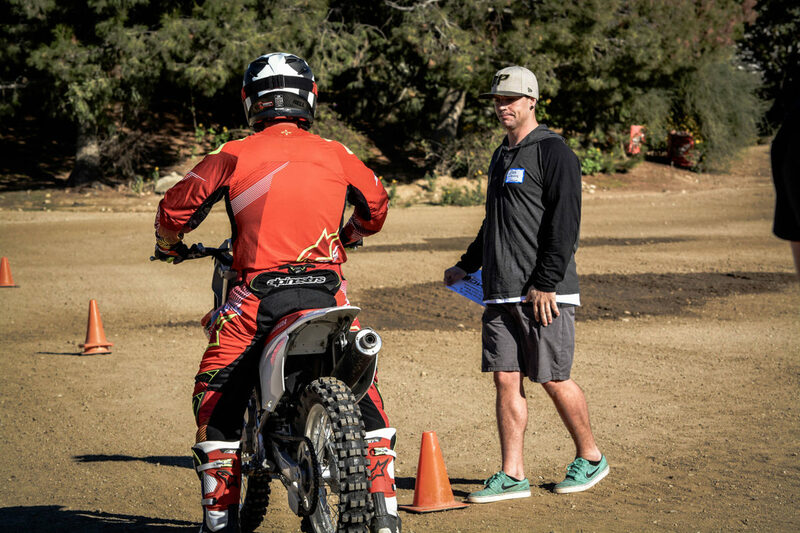 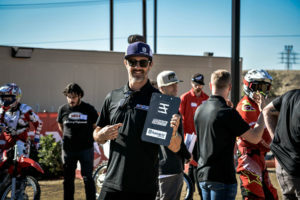 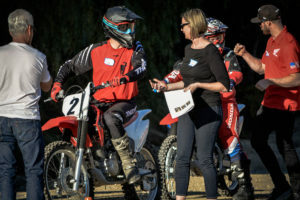 On December 4 & 5, 2018, the USMCA Dirt Bike Coaching Leaders Jeff Emig, Trey Canard, Nathan Ramsey, Mercedes Natvig, Jun Villegas, and co-Founder Mark Blackwell hosted a two-day Western Regional Workshop for Coaching Candidates. 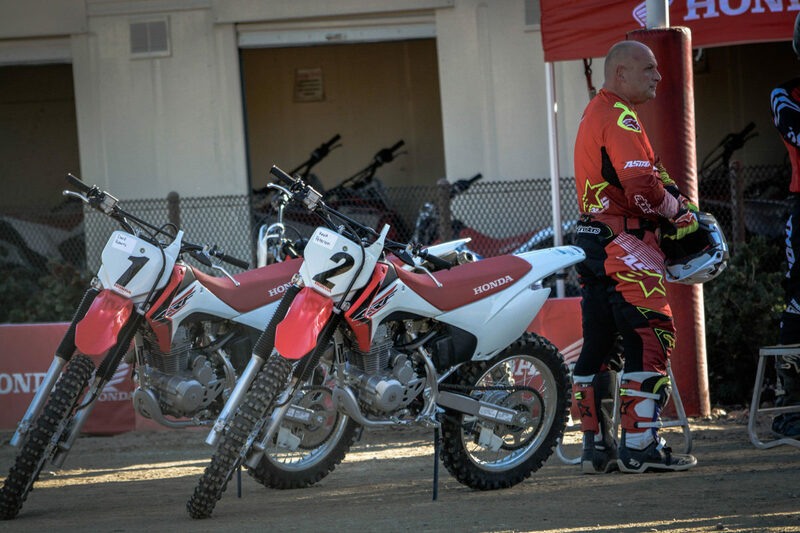 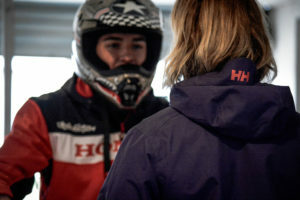 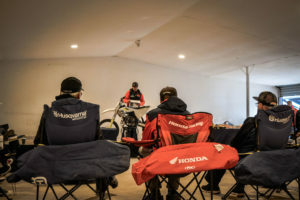 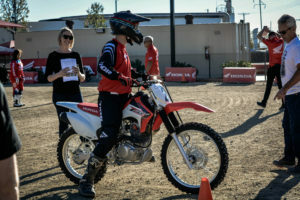 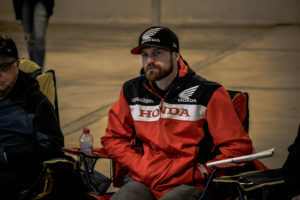 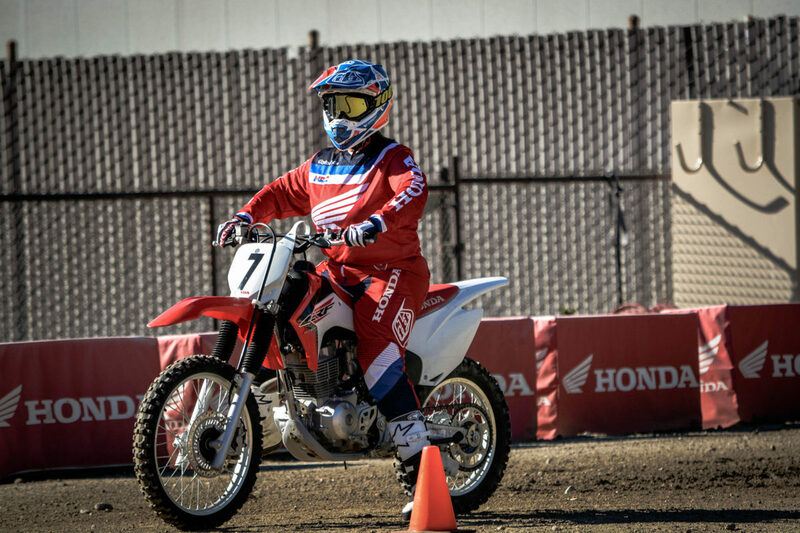 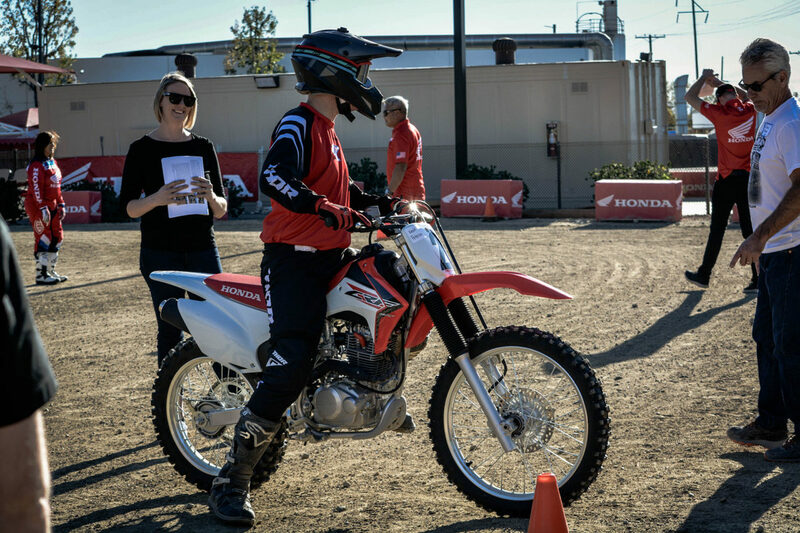 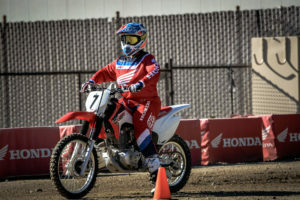 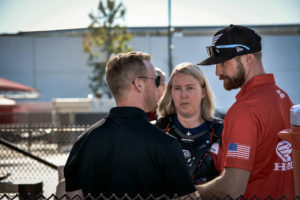 The first day was held at the Honda Rider Education Center in Colton, CA which was generously provided by USMCA supporter American Honda. 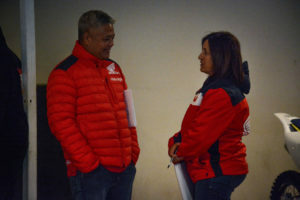 Additionally, American Honda supports the USMCA with two of their employees, Mercedes & Jun who are Coaching Leaders under the USMCA. 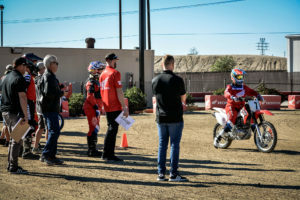 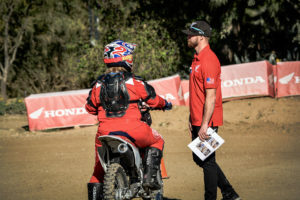 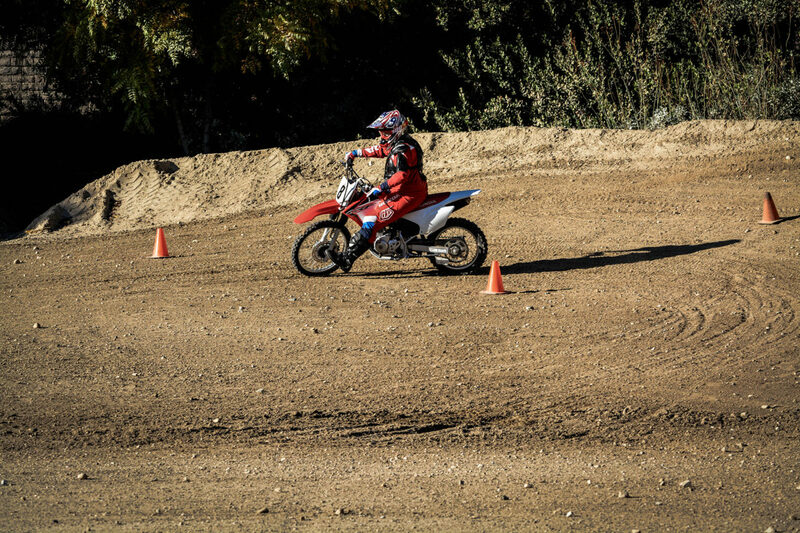 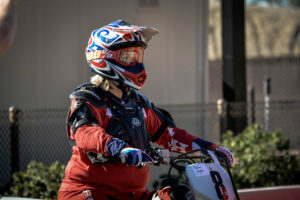 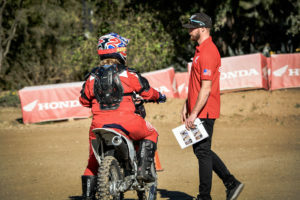 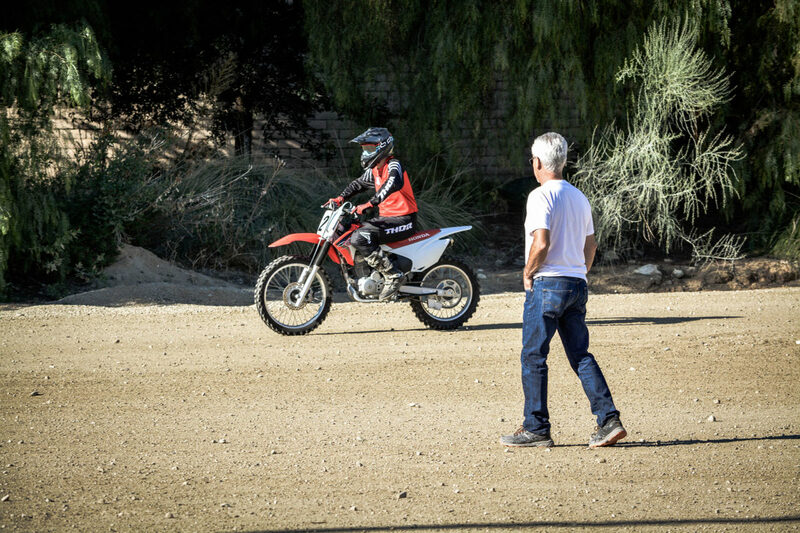 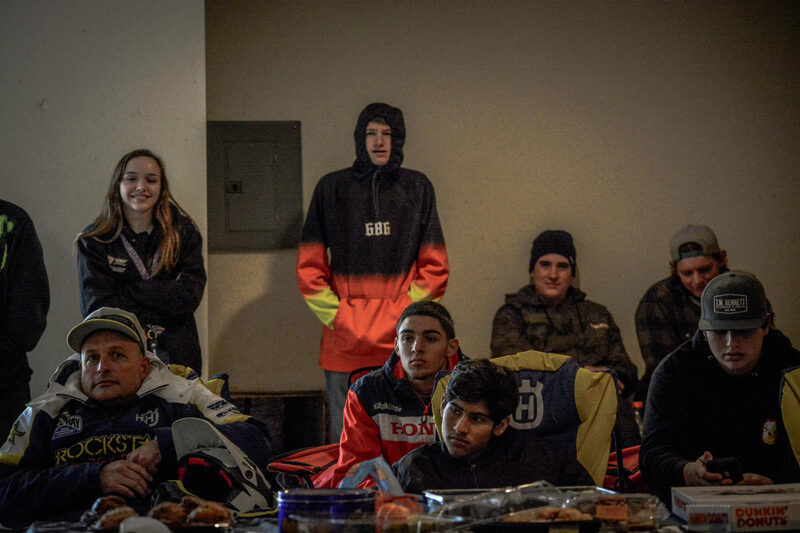 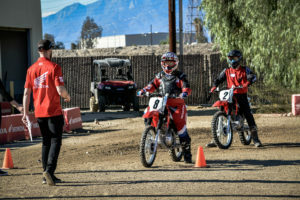 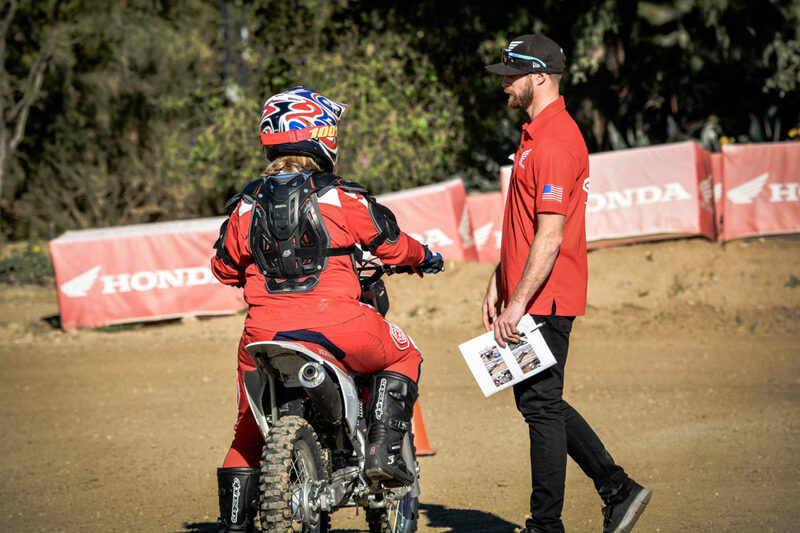 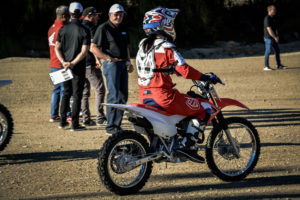 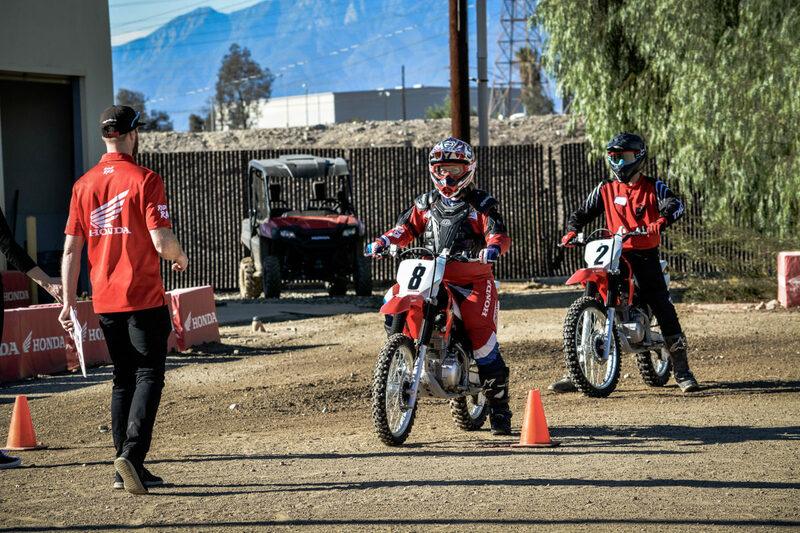 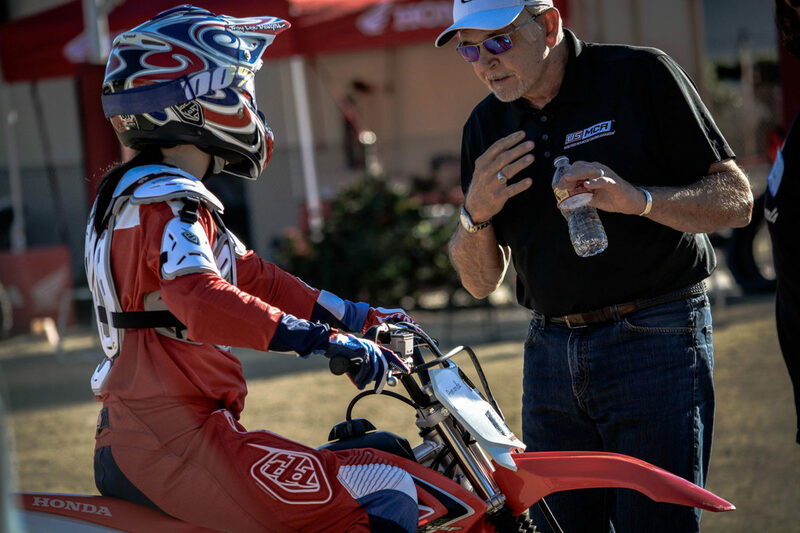 The second day was lead by USMCA Dirt Bike representatives and Certified Coaches, Nathan Ramsey and Trey Canard, at Milestone MX Park in Riverside, California where we were joined by Poly High School’s MX Club as student riders. 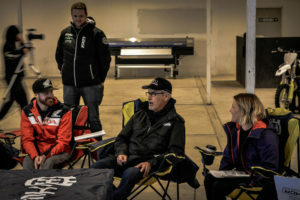 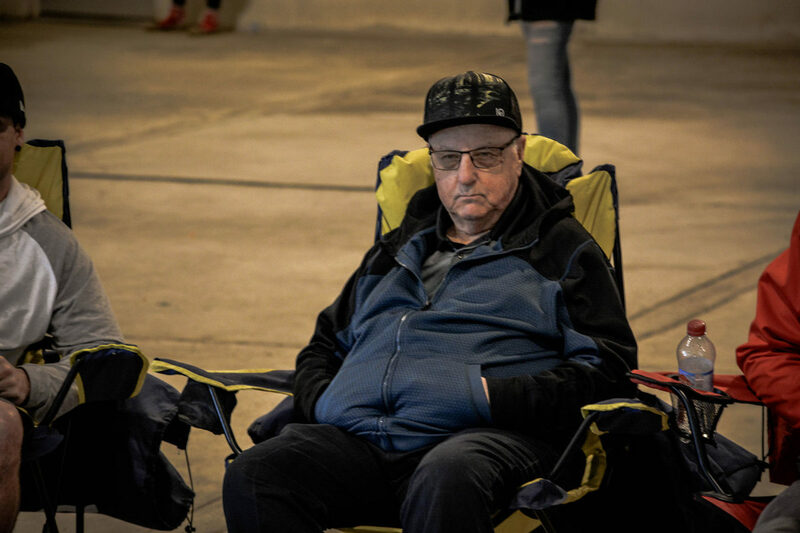 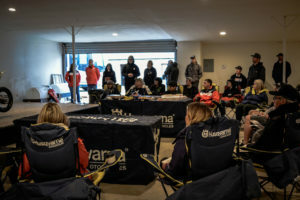 While we were rained out, there was a nice area where the USMCA Workshop coaches and riders were able to shelter and complete Day 2 of the workshop. 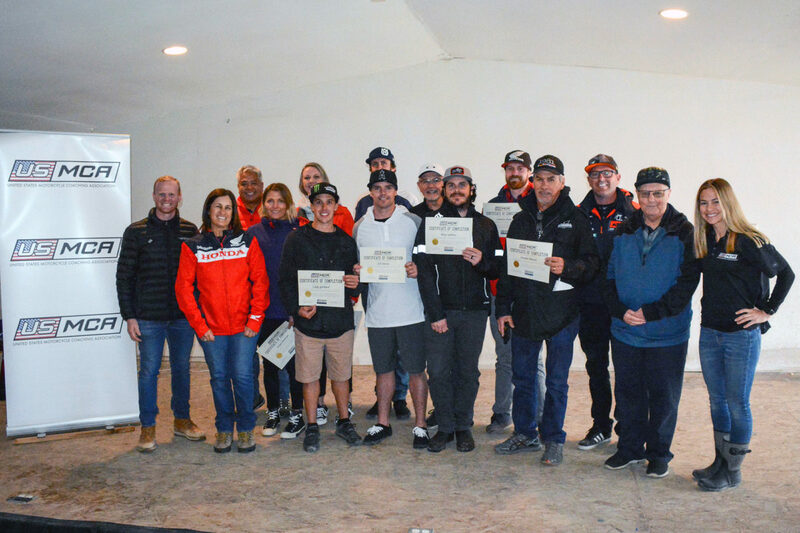 At the end of the day, Coaches who passed the in-field evaluation and had submitted all required prerequisites (background check, CPR/First Aid and ConcussionWise/HeatWise/CardiacWise Certificates) were handed their diplomas as part of the First 100 Certified Coaches. 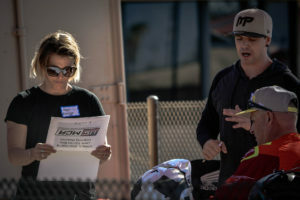 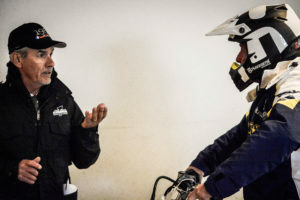 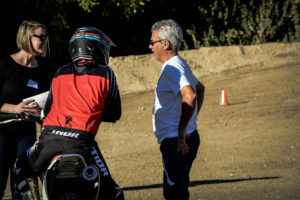 If you are interested in joining us for future USMCA Workshops as a Coaching Candidate or student rider (Novice Rider or First Time Riders only), stay tuned to http://usmca.org/schedule/!